The 9/11 Commission Didn’t Believe the Government … So Why Should We? Published below is a review by Washington’s Blog of recent statements by members of the 9/11 Commission. In many regards, these statements by the 9/11 Commissioners are misleading. The report is loaded with distortions, fabrications and a deliberate coverup of the evidence. And the commissioners bear full responsibility for these lies and fabrications. And now they are proposing to set up a new investigation. They say that they “Did Not Get the Full Story” and they blame the government and the CIA. In fact what they did was to “fabricate a story” and unquestionably this was undertaken in complicity with US intelligence and the Bush administration. Their recent statements outlined below should be put into context. Their unspoken mandate was to uphold the Big Lie, which consisted in presenting a fictitious narrative, namely that Muslims were behind the 9/11 attacks. And to this date, that narrative prevails. Focusing on the personal drama of the passengers, the Commission has built much of its narrative around the phone conversations. The Arabs are portrayed with their knives and box cutters, scheming in the name of Allah, to bring down the planes and turn them “into large guided missiles” (Report, Chapter 1, http://www.9-11commission.gov/report/911Report_Ch1.pdf ). The Commissioners “express doubt” is the underlying theme. Doubt about what they wrote in report? Were they deliberately misled as suggested below? Are they expressing doubts concerning their own lies? 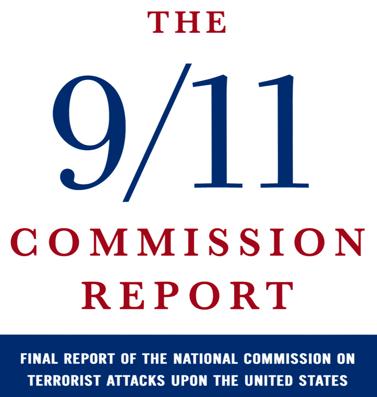 The 9/11 Commissioners have stated that Pentagon officials lied to the Commission, yet many of these lies have been embodied in the report. No wonder the Co-Chair of the congressional investigation into 9/11 – Bob Graham – and 9/11 Commissioner and former Senator Bob Kerrey are calling for either a “PERMANENT 9/11 commission” or a new 9/11 investigation to get to the bottom of it. Senator Bob Graham, the Florida Democrat who is a former chairman of the Senate Intelligence Committee, accused the White House on Tuesday of covering up evidence ….The accusation stems from the Federal Bureau of Investigation’s refusal to allow investigators for a Congressional inquiry and the independent Sept. 11 commission to interview an informant, Abdussattar Shaikh, who had been the landlord in San Diego of two Sept. 11 hijackers. The chief lawyer for Guantanamo litigation – Vijay Padmanabhan – said that torture of 9/11 suspects was widespread. We tortured Qahtani. His treatment met the legal definition of torture. Indeed, some of the main sources of information were tortured right up to the point of death. Moreover, the type of torture used by the U.S. on the Guantanamo suspects is of a special type. Senator Levin revealed that the the U.S. used Communist torture techniques specifically aimed at creating false confessions. (and see this, this, this and this). If the 9/11 Commissioners themselves doubt the information from the government, why should we believe it?